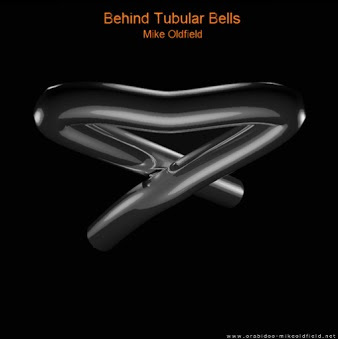 "For a while there it seemed like we might have seen the last of Mike Oldfield, at least as we know him. His last studio album, 2008’s Music of the Spheres, was a classical recording with a full orchestra, while the preceding years had seen him either tinkering with variations on Tubular Bells or making mood music for virtual-reality games. Enter Danny Boyle. The buzz of the 2012 London Olympic opening ceremony, for which Mike Oldfield provided the soundtrack for the memorable National Health Service section (playing his first gig on home soil for more than a decade) served to fire up his creative boiler once again. The title of his new album, Man on the Rocks, hints at some disruption in Oldfield’s life. Certainly the hurricane that swept through his adopted Bahamas in late 2011 is commemorated in the suitably stormy Irene, whith its rolling chords and fat blasts of horns. Less explicit is the effect of last year’s separation from his wife, with whom he has two sons. Instead the prevailing theme of these 11 new tracks is flight, Oldfield using the sea as an overarching metaphor for freedom and possibity. Oldfield plays guitar on the record, and the rest of his band includes fusion guitarist Michael Thompson, renowned bass player Leland Sklar, keyboard player Matt Rollins and, on vocals, Luke Spiller of British indie newcomers The Struts. Predictably, perhaps, a fair portion of Man On The Rocks sounds exactly like what it is – rich man’s yacht rock. While the playings is never less than exemplary, the reliance on mid-tempo numbers, usually designed to lock into a thrusting chorus, means that it suffers from a lack of urgency. And Spiller’s voice, though decent enough, is hardly a revelation, which only adds to the routine feel of songs like Minutes and Following the Angels. Still, there’s enough to celebrate too. Not least Castaway, an impassioned mini-epic that finds Spiller tearing open his heart like a young Freddie Mercury, while Oldfield ramps up the drama with a guitar solo as brutish as it is articulate. Chariot, too, is pretty heated – nagging guitars, funky backing – without quite catching fire. 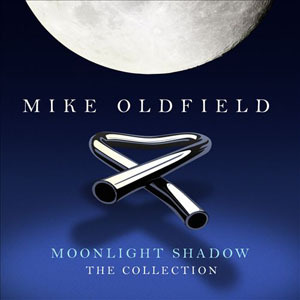 Most curious of the lot is Moonshine, a wistful song about raising a glass to a cold Irish wind and dreaming of America, which Oldfield began writing 30 years ago. All in all, Man On The Rocks is a passable, though risk-free, return to work."